Western Europe and North America are the epitome of Western Culture, Capitalism and First World. They engulf a community of countries mostly Caucasians and Christians which have become main destinations for immigrants coming from all sort of backgrounds. Outside of Australia, New Zealand, Israel, South Korea and Japan, the bulk of those nations are in those two sides of the world which now are dealing face to face with a Free Trade Agreement in the shape of the Transatlantic Trade and Investment Partnership (Hilary, John. 2013) (TTIP). A lot has been said about the TTIP due to its consequences to a group of nations with great influence in the World scene. There are a lot of grey areas in it, many circumstances where the balance is dangerously inclined to one side, different approaches to certain fields such as agriculture, intellectual property and working conditions (Hilary, John.2013). The debate is ongoing and it is between two heavyweights blocs who are used to be on the same side but what happens when the ones agreeing are David and Goliath? There is a series of Free Trading Agreements between nations and that normally occur when they are neighbors or where they belong to the same region and share language, culture or a geographical location (Daniel-Kagbare, T. E.201). However, there are all sort of FTA’s between the Super Rich Club and countries that don’t even qualify to be a BRICK. If the heated discussion about the TTIP is delicate to say the least, what is expected of an FTA between the EU and Nicaragua or Honduras? or between the US and Colombia or El Salvador? South Korea and Peru? China and Morocco? The balance in those cases is more one-sided and due to the overpowering interest from one of the countries, factoring media manipulation and corruption in the equation, the agreement turns into a surrender declaration trade-wise. The NAFTA (North America Free Trade Agreement) has not lived to what it was expected of it. It did not raised the standards of Mexicans and only has benefited the large business in the US side while their small companies and the manufacturing sector was affected negatively (Barufaldi, Dan 2014). Evaluating the effectiveness of an FTA based on the benefits for both sides and fair conditions is not an exact science, almost belonging to an Utopian domain reserved for nations that share ground in many aspects and that are relatively similar, at least financially. Some industries are subsidised in one side, others have advantages due to cultural and geographical circumstances and the list of factors tipping the scales in one direction is long (Chomo, victoria 2002). The whole neoliberal concept of an FTA seems very aggressive to one sector of the opinion because it gives all those powers to the free trade and minimises the state controls but more than aggressive it is actually naive. It is naive to think that opening the frontiers will widen the market for third world countries when actually they will be overpowered by the giant Chinese factories, it is naive to think that all the nations have the similar laws to protect their workers, it is naive to assume the world is an homogenous landscape where regions can knock down their barriers and slowly blend into each other without cracking social, political and specially, financial wounds. They have proved not being the promoted panacea they supposed to be but more like an expansion of the market battlefield with casualties coming from both sides. To have winners, most likely there will be losers. We have been warned. Barufaldi, Dan. (2014) NAFTA’s Winners And Losers. Available at: http:/www.investopedia.com/articles/economics/08/north-american-free-trade-agreement.asp Accessed: 27 November 2014. Chomo, victoria (2002) Free trade agreements between developing and industrialized countries comparing the U.S.-Jordan FTA with Mexico’s experience under NAFTA. DIANE Publishing. Daniel-Kagbare, T. E.(2014) A Dictionary of Economics and Commerce. Authorhouse. Hilary, John . (2013) THE TRANSATLANTIC TRADE AND INVESTMENT PARTNERSHIP (A Chapter forderegulation an attack on jobs, an end to democracy.) Available at: http://www.waronwant.org/campaigns/trade-justice/more/inform/18078-what-is-ttip Accessed: 27 November 2014. Feeling the fierce force of the capitalist market, many countries, if not all, have taken measures to attack several of its corrosive side effects such as monopolies, tax evasions and the worst of all: poor working conditions (Robinson. William L 2004). But what happens when an industry takes place in several countries and due to its nomadic qualities no governmental organism can control it? FIFA could be one of those examples but if we look around there are many others that lack general awareness. The Visual Effects industry started many decades ago in California when the movies requiring those effects were the exception and not the norm. The film industry due to its tradition has strong unions in the US and those rights cover every sector of it. However, when the Visual Effects industry started growing, several companies took advantage of the huge tax breaks by the UK government and made of London at the turn of the century the biggest hub in the planet for Visual Effects. But such a new industry was not regulated in Britain and their practices included an unpaid overtime driven by a legion of workers anxious of being part of the film industry (Stage Screen and Radio 2013). Nowadays, when the workers have started to organize the industry is shifting elsewhere, where the tax breaks are even bigger (Canada) and outsourcing some of the tasks to places with no guarantees for employees (India) (Williams, Owen 2014). Every new country in the equation feels the privilege and the glamour of the industry, hence it compromises working conditions and legal issues. In London, many workers have been warned that if they want to keep their jobs in the industry they should be able to relocate to Canada or New Zealand, leaving little space to stability and a safe family life. Even during peak times in the in London or Vancouver, working was almost a trip back to nineteenth century with several weeks in a row without days off, unpaid weekends, low wages, late nights and so on, depending on the facility they have landed (Williams, Owen 2014). Even studios like Prime Focus whose operations are global, they incur in slavery-like practices because they are registered in India and while they respect the laws in the UK, USA and Canada, their ability to exploit workers in Indian soil goes to the limit (VFX Soldier 2014). The big issue here is that wherever conditions gets tough for those big companies, they just avoid it and move elsewhere with complete immunity because they answer to the governments they get a better treatment from. Like the VFX industry, many lesser known industries have started to take advantage of the rules or lack of rules within the global village, a place big enough to run and hide in broad daylight. Robinson. William L (2004) The Transnational State’ A Theory of Global Capitalism: Production, Class and State in a Transnational World. JHU Press. In a world where globalisation is mentioned almost in every topical issue, we also hear that the globalised world after creating increased interconnectedness it helps those who sit in the world fringes without jobs to seek this abroad. We always hear the question is immigration a good thing or a bad thing. With Britain’s presence in the EU under debate so too is the immigration debate in our country. Upon the first instance arrivals of Polish migrant workers was the headline in tabloids that the Poles are stealing our jobs. This was regular appearance in the papers, I believe the potential reason as to why this type of racial discrimination occurred is a support of Standing’s (2011) The Precariat. The Precariat offers the argument that there is a new emergence of a new socio- economic, which consists of those who are unemployed with an inability to fit into any other social class as a result of alienation, this group of people, the Precariat could be the potential as to why the individuals whom arrived in this country were scapegoated against as they would tend to live side by side with the ‘Precariat’, a group which aforementioned already feel marginalised. However it seems that the negative connotations surrounding immigration isn’t just a ‘Precariat’ problem. The British Social Attitudes annual survey found in 2014 found that 77% of the population want to see a reduction in immigration into Britain and public views of the level of immigration are significantly more negative than in 2011. This ideology is potentially paving the way for such parties such as UKIP thriving and growing in popularity resulting in a growing number of defects from the Conservatives as well some Labour party members supporting them. But why is it the British people do not like immigration as in June 2013 the Organisation for Economic Co-operation & Development published a report in which was argued that migrants in the UK pay more tax than they use public services. Thus, without immigrants society would therefore have to make cuts to public services and would lead to higher taxes, wouldn’t that be the reason why Standing’s Precariat can remain to be unemployed? However the lack of education and awareness on the positive sides of immigration, I personally believe that migration is given a narrow minded approach to migration. People in Britain believe that the migrants have no agenda to being in the UK and are constant advocators as a society as a whole that the freedom of movement laws should be tightened, however the general British consensus is that ‘the English Channel provides greater security from illegal migration’ (Clarke 2011) Marfleet (2006) contradicts the point above by acknowledging that human beings have a choice to migrate and act responsibly for their actions. Our country as a society has given ourselves a big pat on the back for tackling such huge issues such as racial issues which is almost a non-existent issue in the modern day Britain; LGBT issues, but then when immigration is mentioned it is still a severely volatile subject, maybe the majority of British citizens don’t like migration, I however am British and I welcome migration, well at the end of the day it comes with the increased interconnectedness of the world, right? Marfleet, P (2006) Refugees in a Global Era: Palgrave Macmillan Press. Standing, G (2011) The Precariat: The new dangerous class. Bloomsbury Academic. Globalisation’s Legacy? A recent Panorama programme (BBC 2014f) highlighted an increasingly common phenomenon – families that are working but still cannot afford basic amenities, or even proper food. Across the world, there is the emergence of a new type of working class family, who remain in poverty even when both partners are working. What are the reasons for this development? Globalisation has been a force since increasingly sophisticated telecommunications technology and the Internet have made communication instantaneous and flexible. While foreign trade has existed for centuries, it is only relatively recently that labour markets have been truly generalised across the world (Ravenhill 2011, p313-357). One factor is improving educational standards across the world, which means that an increasing array of jobs can be outsourced internationally, often at a far lower cost, due to the differences created by international currency exchange. Even personal assistant services can now be outsourced across the globe (Coleman 2014). Increasingly sophisticated tax avoidance measures also mean that multinationals increasingly do not contribute to the state in the regions in which they operate, which means that working people are left with fewer sources of support for essential services such as health. Due to increased ability of people to find work abroad, especially from Europe, working people at home also have to compete against immigrants who will sometimes accept much lower wages. A world marketplace is thereby created in which certain groups have very little bargaining power even at a collective level. The new global underclass affected by this is a fragmented and disparate phenomenon, but even so certain trends can be discerned. http://www.bbc.co.uk/iplayer/episode/b04l6x1k/panorama-workers-on-the-breadline [Accessed on 9th November 2014] Channel 4, Rich getting richer -poor getting poorer i Coleman, A., 2014. And the winners of the World Political Order are… The Transnational Capitalists!!! It’s true, no exaggeration. The transnational capitalist class (TCC) is the winner of our world political order. They have, quite literally, inherited the world. All its productive resources included. Since they have already won the game, let’s take a look at who they are and what their victory means for the rest of us. The TCC can be defined as excessively powerful bourgeoisie as they control the means of production on a global scale (Robinson and Harris, 2000). The people classified under this stratum would be the owners of multinational corporations and billionaires such as Bill Gates of Microsoft Corporation and Richard Branson of Virgin Group of Companies. Hence, it is a group of people who control supranational implements of the global political economy such as multinational corporations (McDonalds, Apple) and transnational organisations (The World Bank) (Robinson, 2003). Of course this class enjoys enormous political and cultural influence. The following picture is a great example, even though a bit too bold for certain tastes. It is fascinating that a few people should have such influence in the world. As Vitali et al. (2011) have conducted an interesting and in depth analysis of the global corporate network. They argue that the global corporate network is shaped like a ‘bow tie’. The analogy being that the most powerful 147 firms in the centre of the network control almost 40% of it (Vitali et al., 2011). Of course one would not want such concentration of power in a few hands. After all, densely connected financial networks are disposed to greater systemic jeopardy (Stiglitz, 2010). However, the most interesting and perhaps even scary part of this class is the outreach of its influence. Take for example Microsoft. Its founder Bill Gates is one of the most powerful people in the world (Forbes, 2011) and his company employs thousands of people across the globe. His or rather his company’s influence transcends borders. 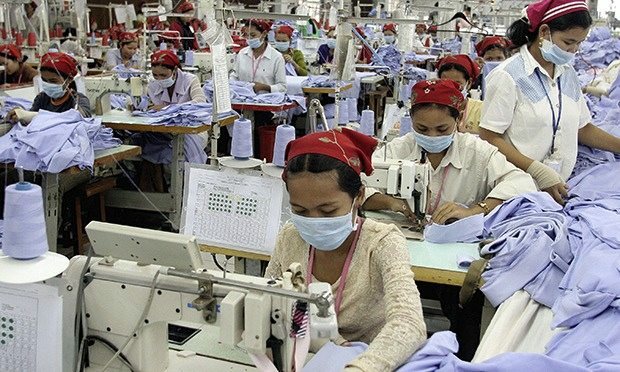 Yet the company has been guilty of hiring people as temporary workers for years, denying them many rights and overworking them especially when they are located in developing nations (Greene et al, 2011). But can the company be challenged? As these corporates and people keep growing they dwarf people, organisations and even governments with their enormous power. This makes them the heirs of the world and us, the ‘99%’, a lot which can live off whatever ‘trickles down’ from these and many others below them. Greene, J., Hamm, S., Brady, D. and Hovanesian, M. (2005). Troubling Exits at Microsoft. [Online] Businessweek.com. Available at: http://www.businessweek.com/stories/2005-09-25/troubling-exits-at-microsoft [Accessed 18 Dec. 2014]. Forbes, (2014). The World’s Most Powerful People. [Online] Available at: http://www.forbes.com/powerful-people/ [Accessed 18 Dec. 2014]. Robinson, W. and Harris, J. 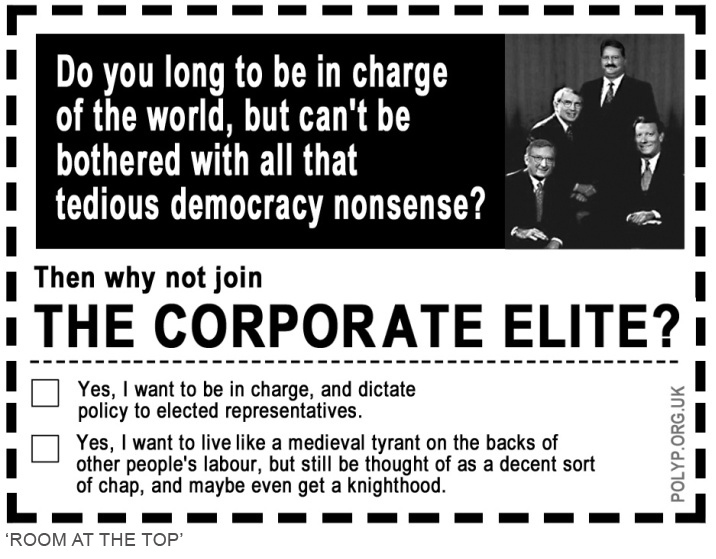 (2000) ‘Toward a Global Ruling Class? Globalization and the Transnational Capitalist Class’, Science and Society, 64 (1), pp. 11-54. Stiglitz, J. (2010). ‘Risk and global economic architecture: why full financial integration may be undesirable’, The American Economic Review, 100 (2), pp. 388-392. Vitali, S., Glattfelder, J. B. and Battiston, S. (2011), ‘The network of global corporate control’, PloS one, 6 (10), pp. e25995. The working class used to be fairly straightforward to identify, but today matters are more complex. The automation of many occupations that would previously have been constitutive of being working class, coupled with the widening of the range of professions, means it is no longer particularly easy to tell whether a person corresponds to what used to be the ‘working class’. Indeed, the boundaries of all classes are becoming more difficult to fix, as power’s relationship to money continues to evolve. Nevertheless, we can still say that a ‘working class’ person is now someone who has to work and also has few assets, probably no university-level education, and few prospects of improving their economic status. We might also add that if their work includes intellectual labour then it is probably of the non-creative and probably non-specialised kind. This is a new type of underclass that is emerging globally, who may have to adopt ‘flexible labour’ arrangements, commuting long distances, with zero-hours contracts or simply working very long hours to survive on low wages. This is not confined to unrecognizable companies, but even extends to companies like Apple whose products we all familiar with (Guglielmo 2013). What are the prospects of this new globalized working class? Will it thrive? A central problem is that, due to national boundaries, people who may have a great deal in common economically do not have the knowledge of each other required in order to develop a strong ‘class consciousness’ or some other set of ideas that would allow collective bargaining. Other ‘isms’ can get in the way – nationalism and racism among them (Kenny 2014). Indeed, current rhetoric in the UK has a divisive edge, at least as far as any ‘global working class’ is concerned, because of its decidedly anti-immigration perspective, promoted by parties such as UKIP which also have a decidedly libertarian free-market ideology. Nevertheless, we are beginning to see some indications that global protest movements using social media are capable of changing conditions. The Arab spring of 2010/11 was one indication of how such movements can start – although the causes of this were political as well as economic. Perhaps with the advent of internet-based communication, a new global working-class consciousness can emerge that will allow a true revival – if it does not, the ‘working class’ as an entity may disappear altogether. Do women exist in Saudi Arabia? 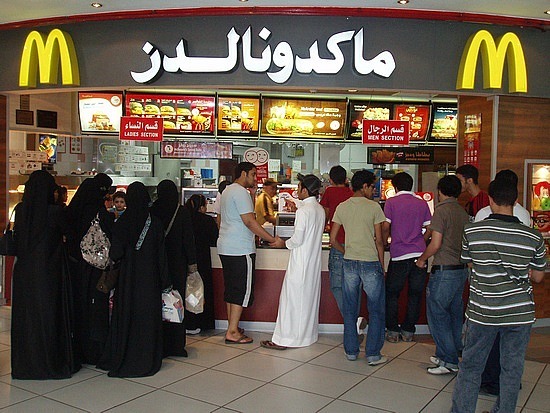 Saudi Arabia, the home of the Islamic pilgrimage site Mecca referred by many Muslims as the holy land takes a strict view of the Islamic Sharia law and prevents women from participating in many of the activities women in the western world and even women in other Muslim countries can do as freely almost as second nature. Article 8 requires that the government be premised on equality in accordance with Sharia law, but under Sharia law, women are considered to be legal minors, under the control of their mahram (a male relative whom the female cannot marry such as aunt, sister and grandmother) and even then they need a male guardian for women to partake in day to day life. Even though the current King Abdullah is endeavouring to make leaps and bounds the equality battle shows no sign of letting up. In order to understand just how bad how the inequality issue in Saudi Arabia it is an imperative to explore the restrictions women face on their day to day life. Potentially one of the most known restrictions is the inability of Saudi women not having the right to drive. Women can drive however, it isn’t illegal technically women can drive, the license that is needed to drive however just isn’t awarded to women and it is illegal to drive without a license. The Saudi Government have attempted to justify as to why women cannot drive. The main one being it would give females the ability to remove their niqab. Another notion is that it would give females ‘freedom’ (a notion which is pretty much a given in the western world) and the opportunity to cheat on their husbands. The most unfathomable how bias the inequality in Saudi Arabia runs deep is through the display of medical procedures and the way in which this works is If a guardian does not give medical treatment the go-ahead, a doctor will not treat a woman. While not supported by law, this is the general practice. Saudi Arabia is seen as being an emerging economy, I’d take it as far as to say they have emerged one of the world’s biggest petroleum exporters, with a per capita of 25,000 USD, the country also has a human development index, and Saudi has all the utensils in place for the country to thrive. Even though gender asymmetry is universal, ‘gender inequality is however based on socio economic factors’ (Khoury, 1995). ‘Saudi Arabia has the lowest level of inequality in terms of HDI groups.’ (UNDP, 2010). A further display of how females and males are not par with each other is through the display of female participation in the labour market is only 18.2 percent compared to 75.5 for men’. (UNDP, 2011). It is evident and apparent that Saudi Arabia are an extremely developed nation, however the question must be posed as to why women in Saudi Arabia are treated like ghosts and what they can do must be dictated to them by their Mahram. But then on the flip side is this just the western ideology which we feel is correct and everyone should adhere to this construct and if they don’t then their construct is wrong. Khoury N, (1995), Gender and Development in the Arab World, United Nations University Press. Land grabbing is the controversial acquisition of large agricultural tracts from developing countries by transnational and governmental corporations. Over the past seven years, they have raided some 86 million hectares, representing not less than one-fifth the size of Italy. The international organization Grain now offers a new set of data on 416 recent examples of grabbing large-scale land, which are made exclusively by foreign investors. The lands seized these are intended for the production of food crops and cover an area of about thirty-five million hectares in sixty-six countries. The work highlighted by Grain, provides a striking illustration of how quickly agribusiness moved in food crises since the food and financial crises of 2008, snatching food production in the hands of farmers and local communities. Then, Grain emphasizes indeed that Africa is the first target of land grabbing. But we can underline the place occupied in this drama by Latin America, Asia and Eastern Europe. «Stated simply, in a competitive world in which firms are seeking to cut costs, they will move production from those countries that have high environmental standards to those countries that have lower environmental standards. Given the important of TNCs in world trade and the transnationalization of production, countries are, it is claimed, reducing their environmental laws in attemps to lure foreign investment.» (Robert O’Brien and Marc William) Land grabbing is undeniably a global phenomenon. Investors based in Europe and Asia are responsible for about two-thirds of cases of land grabbing. It is interesting that Britain, like Singapore and Mauritius, serves as a tax haven for hoarders (grabbers) and often, the real basis of active companies is based in another country. In the ranking of hoarders (grabbers), it is obviously include the United States, at the top of the list with forty-one cases of land grabbing and the United Arab Emirates and Saudi Arabia, which together account for thirty-nine cases. The situation is alarming. Information from continually Asia, Africa and Latin America, showing that local communities are dispossessed as never before, their only source of food and the safety of their livelihoods. It is common today to hear that small farmers produce most of the world’s food. But how many of us realize that they do so with less than a quarter of the world’s agricultural land, and that this share already lean, is reduced each day a little more?If small producers continue to lose the essence of their existence, the world simply lose its ability to feed. Within the past century there have been two world wars, and many more fights for justice and freedom. Yet, today, in 2014, we are witnessing the biggest bouts of poverty many of us will see and have ever seen in our lifetime. The world system is capitalism, we work within capitalism and we spend within capitalism. But while ‘we’ in the western world do this, there is a greater economic divide occurring within nations like Togo. So, to change this crisis of major wealth divide between the elite and the impoverished, Stiglitz (2009) suggests a global stimulus package for the world economy within capitalism. This is due to the suggestion from the IMF that ‘at least 1 per cent of advanced industrial countries stimulus packages are allocated to developing countries’. But what good is this really going to do for the likes of Togo? Yes this package and economic scheme may help temporarily, but in the long run there’s no financial security. This is not what we should be seeing in 2014. Togo has a national GDP of $7.348 billion in 2013 compared to the US of $16.72 trillion in the same year. If this isn’t shocking enough, take a look at the figures of access to clean water. With a population of 7, 351,374 only 60% of have access to clean water which compared to the US with a population of 318,892,103, where 99% have access. Now let’s compare life expectancy, in Togo, a citizen has a life expectancy of around 65 years, whereas the US citizen is expected to live until they are 80. All this poverty within capitalism is due to an unequal playing field. This sheer wealth and poverty divide is supported by Van Der Pijl’s (2009) work on Marx’s view that ‘the capitalist mode of production… produces wealth at one pole and poverty at the other’. It is appalling that any nation in this day cannot provide clean water access to all citizens and yet other nations have the ability to preside over what this nation produces and in turn exploit them. It is clear that in a capitalist structure, no matter what Togo decides to produce, no matter how good the quality, the advanced nations will take little notice and will trade within other nations. The unequal playing field for nations like Togo is an easy way of maintaining the poverty. It is incredibly sad that through all this world has accomplished, such as the vote for women, gay rights and the abolition of slavery in the west, we still cannot figure out how to aid nations like Togo. What’s, even sadder though, is that countries are just accepting the possibility that they will never come out of poverty . As O’Brien and Williams (2010) state, the debt crisis that emerged in the 1980’s where ‘developing nations were desperate for funds to help them industrialize their economies’ shows that even today, nations such as Togo are repaying their loan debt to the west with interest. So for there to be winners in this capitalist system, there has to be losers and Togo is just one in many that are experiencing the loss.